This is going to sound crazy: I recently had a conversation with Satoshi Nakamoto. Yes, the same Satoshi Nakamoto often credited with creating the cryptocurrency Bitcoin. Now did I truly believe I was communicating with the real Nakamoto, or that such a “person” actually exists? No, not really. Why would I? First of all, this was an online conversation, and on the World Wide Web where anonymity’s the norm, it’s never exactly clear with whom (or with what) you’re interacting. It’s a world where you can give yourself whatever name you want, hide your location by bouncing your IP address off an array of thousands of servers, and maybe even erase any trace that you were ever there at all. There are few better examples of this than Satoshi Nakamoto, a.k.a the Ghost of Bitcoin. Somewhat of an online urban legend, Nakamoto is about as elusive as they come. Appearing out of nowhere in 2008 with a groundbreaking, self-published Bitcoin blueprint, Nakamoto then went on to release the first Bitcoin software to the world for free in 2009, only to disappear shortly afterwards. In fact, nobody’s entirely sure whether Nakamoto is a person, pseudonym, group of people, some sort of über -genius, or perhaps an acronymous multinational conglomerate with less than clear intentions. And to say Nakamoto is a bit of a recluse is something of an understatement. The guy/entity only just recently popped out of the woodwork for the first time in five years after an article was run in Newsweek alleging to have confirmed Nakamoto’s true identity. Later that day, the “real” Nakamoto emerged from his P2P Foundation account to respond: Go fish. So what does all of this have to do with beer? I was just getting to that. 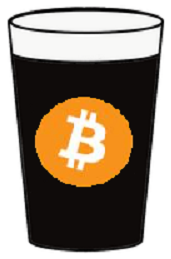 As I’m undoubtedly sure is the case with a lot of craft beer fans, I could be having a conversation about, oh I don’t know, let’s say cryptocurrency, and somehow I find myself making some connection to and remarking about (you guessed it) beer. As fate would have it, I was engaged in just such a conversation online with none other than Satoshi Nakamoto, or at least that was his handle, and as predicted, craft beer came up. “Nakamoto” mentioned he was a fellow craft beer fan, and not only that, he was into homebrewing too. Alright, I know what you’re thinking: ‘This is too good to be true.’ And you’re right. It was. Sort of. Nakamoto, apparent master of wordplay, joked that he was into homebrewing video games, a term used to describe programming your own video games to run on proprietary gaming systems like PlayStation or Xbox. Sigh. The guy invented Bitcoin, so I let it slide. All kidding aside, he said he was working on a program that utilizes powerful predictive computing algorithms to anticipate future trends, similar to how google seems to know what you’re going to type before you finish typing it. Nakamoto’s version is like the “Google Instant” search predictor, but on steroids. And instead of just predicting search results, it predicts EVERYTHING. Climate change, geopolitics, decryption, the stock market, you name it. Satoshi Nakamoto: Think of it as a kind of digital crystal ball, only much more bloody accurate. Needless to say, Nakamoto didn’t give much detail on how the program works, just that he was appropriating a few super computers (the TH-2, Cray Titan, etc. ), technology from D-Wave, some large databases (NERSC, Google, NCDC, MAINWAY, Facebook, the CIA), and data “borrowed” from the LHC. Satoshi Nakamoto: It’s not complete, but close. Being the natural skeptic I am, I said prove it. 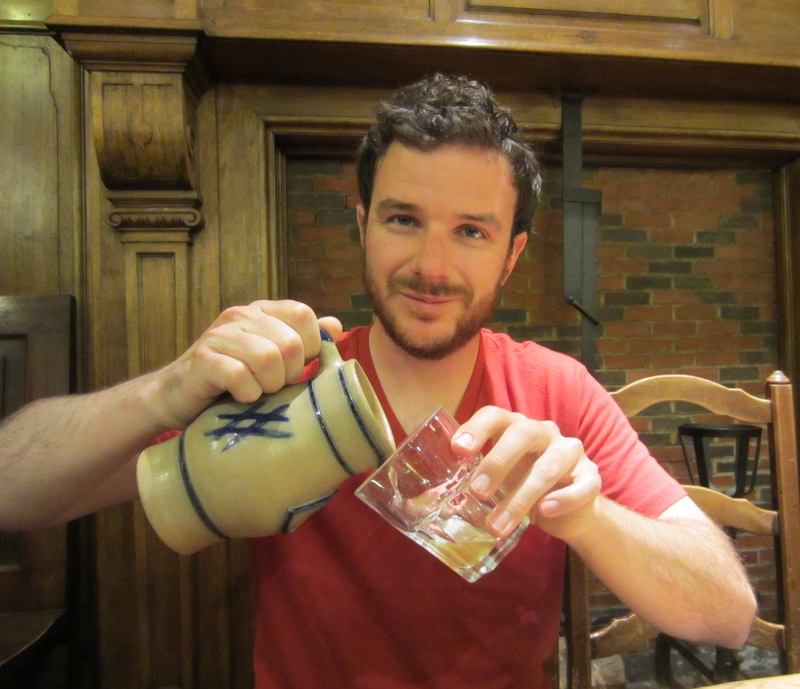 Satoshi Nakamoto: You said you like craft beer, correct? Satoshi Nakamoto: Well then here’s a small proof-of-concept. Nakamoto uploaded an executable file, which I promptly grabbed. And with that, Nakamoto disappeared along with the chat log. As such, the above dialog and other details were reconstructed from memory, with the exception of the file. Now I’m not usually in the habit of accepting executable files from strangers, but this was just too tempting. So I ran the program. Remember how I said Nakamoto’s software for predicting future trends is supposed to apply to everything? In yet another display of the King of Bitcoin’s wit, he left me with a small taster-sized version of his program, which I share with you now. To be honest though, I’d hoped that he would have given me the version that predicts the future of the stock market, but far be it from me to look a gift program in the code.